3 in. x 6 in. T..
and you will be contacted to explore the delivery options. Minimum Purchase Quantity may apply. Warehouse Pickup: Please call or email us to confirm the stock at your location before placing your order | +1 888-908-6699. 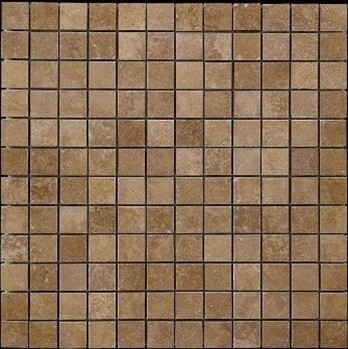 1 x 1 Tuscany Noce Travertine Square Pattern Tumbled Finish Mosaic Tile is a great way to enhance your decor. 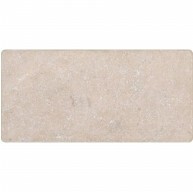 This Polished Mosaic Tile is constructed from durable, impervious, translucent, Travertine material, comes in a smooth, high-sheen finish and is suitable for installation as bathroom backsplash, kitchen backsplash in commercial and residential spaces. This beautiful Travertine tile features a random variation in tone to help add style to your decor. 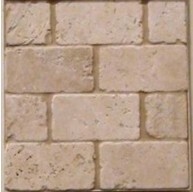 We also carry Travertine Mosaic Tiles on a mesh net in a lot of different colors. 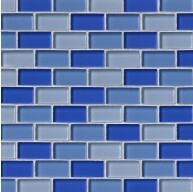 Matching 12x12 tiles, Moldings like Chair Rail, pencils and baseboard are also available. Free of Charge Local pick up available at our NJ, warehouse. Please call to make pick up appointments.